The EHD IK-Series are made in Germany, including ImageCapture applications software and SDK. 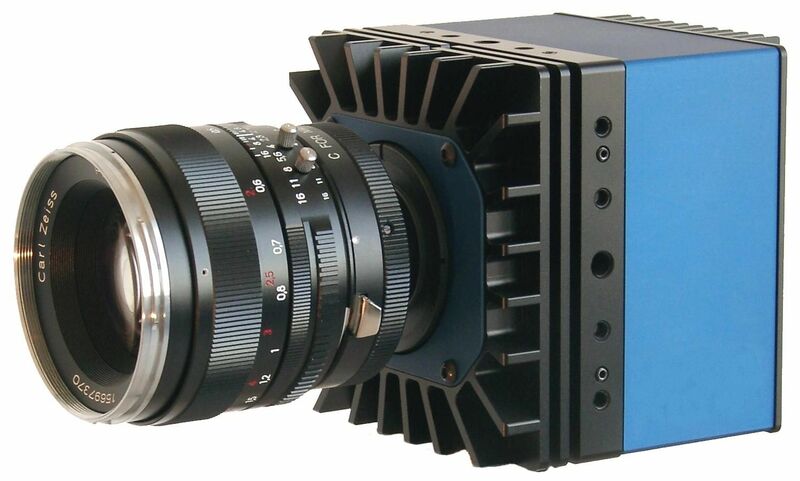 The IK1112 camera is a highly sensitive infrared camera (SWIR, NIR) with 320x256 pixel and a framrate of 110fps. The sensitivity interval reaches from 900nm to 1700nm. The sensor doesn't need active cooling and thus powered by USB bus (no external power supply needed). the small housing enables easy integration into existing measurement with stable temperature conditions.The camera system includes camera, cable, mount and programmers API. The IK1513 camera is a highly sensitive infrared camera (SWIR, NIR) with 320x256 pixel and a framerate of 110fps. The sensitivity interval reaches from 900nm to 1700nm. A sophisticated, thermal optimized housing allows sensor operation with thermo electrical cooler without a fan. The camera system includes camera, cable, mount and programmers API. The IK1513-2.2µm camera is a highly sensitive extended infrared camera (SWIR, NIR) with 320x256 pixel and a framerate of 110fps. The sensitivity interval reaches from 1200nm to 2200nm. A sophisticated, thermal optimized housing allows optimal sensor operation. The camera system includes camera, cable, mount and programmers API. The IK1523 camera is a highly sensitive infrared camera (SWIR, NIR) with 640x512 pixel and a framerate of 30fps. The sensitivity interval reaches from 900nm to 1700nm. A sophisticated, thermal optimized housing allows sensor operation with thermo electrical cooler without a fan. The camera system includes camera, cable, mount and programmers API.